​no maintenance, power or water. They can be pretty much installed anywhere and on to anything. Just like with our Living Walls each wall is designed from scratch with the client. To install we first fix a backing board that is then covered with a blackout material. This creates a fuller foliage with no gaps being visible. We create our artificial walls in two ways. The first way is using pre-planted tiles and we can then add loose plants to make up patterns or add colour. ​The second way is to make them up completely of loose plants and we attach them one by one to a surface forming patterns or random foliage according to the design. 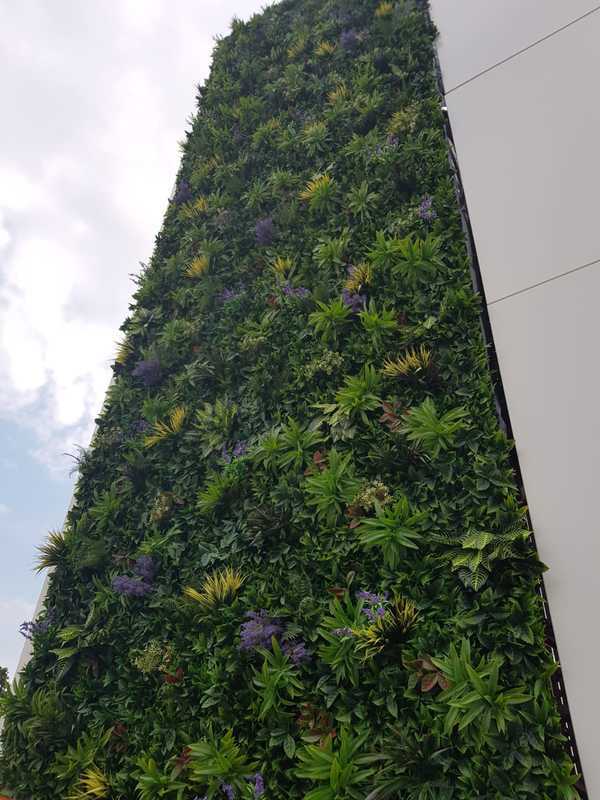 The foliage and plants we use are UV resistant and can also be fire retardant when needed also. > High quality, hard to tell they are not real!